Taylor Swift is being sued for $42 million for allegedly stealing the lyrics to her 2014 hit Shake It Off. Jesse Braham has claimed in legal papers Taylor Swift stole the words from a song he wrote in 2013 called Haters Gone Hate. As well as the monetary compensation, the R&B singer also wants his name added as a writer on the track. Representatives for Taylor Swift have yet to officially comment on the legal case. 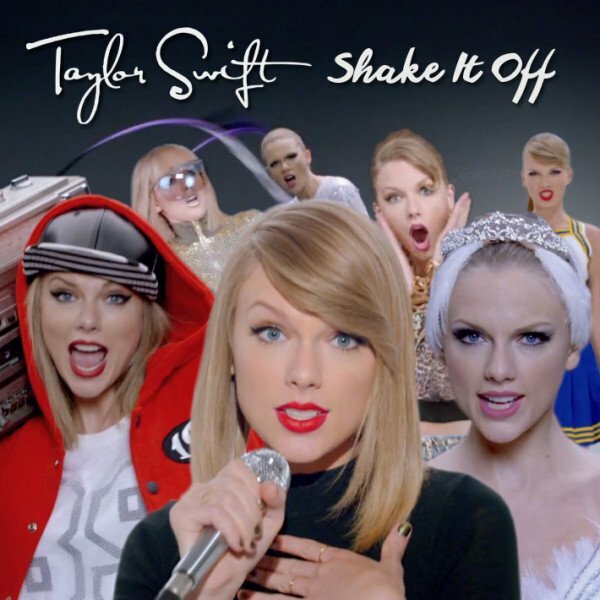 Shake It Off topped music charts around the world and reached No 2 in the UK. The video for the song has been watched more than 1.1 billion times on YouTube. Jesse Braham – who goes by the stage name Jesse Graham – claims he has copyright ownership of the phrases “haters gone hate” and “playas gone play”, which appear in the chorus of Taylor Swift’s song. Apart from the lyrical similarity, the songs bear no resemblance musically. Jesse Braham, 50, told the New York Daily News he believed there was “no way” Taylor Swift could have penned the lyrics independently of his song. “Her hook is the same hook as mine. If I didn’t write the song Haters Gone Hate, there wouldn’t be a song called Shake It Off,” he said. The singer added he had spoken to Taylor Swift’s record label, Big Machine, four or five times about the issue. “At first I was going to let it go, but this song is my song all the way,” Jesse Braham said.